Measure circumference around mid thigh – approximately 6 inches above knee. Importance of orthopedic products are increasing day by day. It helps your body to recover from injuries, pains and similar conditions. Sports injuries are effectively managed through orthopedic appliances nowadays. If you are a fitness freak and go to gym regularly, then products like Ankle, knee, wrist & elbow supporters are very useful. Most of the athletes wear supporting products like knee caps, wrist supporters, elbow supporter etc. Hence they are able to protect their muscles from injuries. Also these appliances help them to protect the injured muscles from further damage. Correct usage of rehabilitation products helps you to manage your symptoms and it accelerates your recovery time. Studies prove that people suffering from Knee, neck, back and other pains must use ortho supporting products. Also it has seen tremendous improvement after the usage of orthopedic appliances. Hence, these products help you to prevent injuries. Also people like sports persons or involved in heavy physical exercise must use orthopedic products to prevent injuries. Sprains and strains are widespread problems often affecting ankle, knee, and wrist joints, though they may upset just any joint. Orthopedic products may help to relieve pain, restrain movement, reduce inflammation. Sprain and strain are two different words. A sprain is caused due to overstretching of ligaments –strong fiber-like tissue joining joints, while strain is an injury to muscles and tendons. In most cases, they produce painful condition due to overstretching, though sometimes sprain and strains may even lead to torn ligaments, tendons, and muscles. Sprains or strains cause weakness of the affected area, be it ankle, foot, knee, back, leg, or wrist. Injured area may get swollen. There is often pain on movement; sometimes pain could be severe. Further, due to injury, there is a local spasm of muscles leading to tightening of muscles in the affected area. Sure, in such condition first thing that comes to our mind is the use of anti-inflammatory or painkiller drugs that are readily available. Pharmacological treatment may help to reduce symptoms in an acute stage. However, it is vital to use non-pharmacological methods to reduce pain and promote healing. The so-called RICE therapy (Rest, Ice, Compression, Elevation) forms the basis of non-medicament treatment of sprains and strains. Rest – in the acute phase, it is essential to avoid the undue stress of the affected area. It gives the muscles, tendons, ligaments time to heal. This, of course, does not mean bed rest; it merely means avoiding the stress of affected areas. Small movements of the region would help to prevent the stiffening of joints. Ice– by ice we mean any kind of cold therapy. It is useful during first few hours after the injury. Ice decreases the local metabolic demand, reduces inflammation, decreases pain threshold. Ice pack acts as local analgesia. Compression– compression helps to reduce the local swelling, for the purpose one can use various elastic bandages. 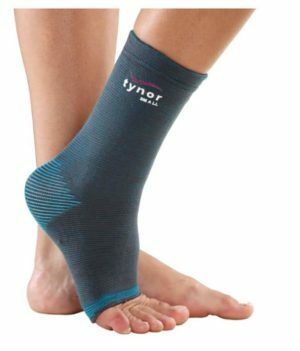 By reducing the swelling compression promotes quick healing. Bandages or compression also reduces the local osmotic pressure and presence of inflammatory fluids. Orthopedic products play vital role in compression therapy. Elevation– elevation of the injured parts helps to improve the drainage of inflammatory exudates, thus helping to reduce the pain and risk of complications. Once the acute phase is over, after two-three days, applying heat may help to reduce the local inflammation and promote healing through improvement of regional blood flow. Heat also helps to reduce the tightness of local muscles thus improving the movement. Sprains and strains take time to heal; complete recovery may in some cases take up to several months. 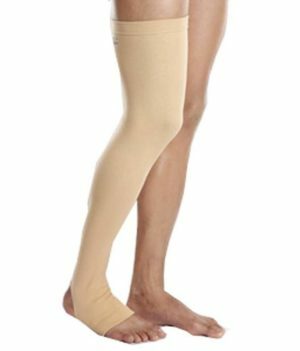 It means that compression garment and orthopedic products (like ankle or knee support) are required for long. They help to limit the movement of the region, keep inflammation in check, and still they allow enough of motion to stay active. Once the acute phase is over, recovery demands the specific level of movement of local joints. 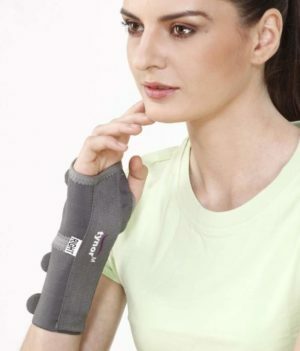 Hence, one may continue to wear the supportive, compressive, orthopedic products, well after the pain is over. Also, these bandages and supportive devices have a protective role for those involved in high-intensity workouts or heavy athletics (weight training, weight lifting, bodybuilding).